Wash your car and keep your supplies neatly organized! Inject some gloss into your wash with the McKee's 37 Wash & Gloss Detail Bag Kit. We’ve taken our three most popular car wash products, Power Wash, Road Kill Bug Remover and the Road Kill Bug Remover Sponge, tossed in our thirstiest Guzzler Drying Towel and super soft Chenille Wash Mitt, and stuffed it into the cavernous McKee's 37 Professional Detail Bag to create a money-saving kit! Wash, dry, and cleanse your vehicle of gloss-hindering dirt and road grime with the McKee's 37 Wash & Gloss Detail Bag Kit. This kit represents a great value. First and foremost, the included products are ones that nobody can do without, so why not save some money along the way and purchase your favorite McKee's 37 products in this money-saving kit? There's a place inside this bag for ALL of your supplies! Keep everything neatly organized with an abundance of pockets and cubbies. Take your favorite car care products (McKee's 37, of course!) with you every where you go with the McKee's 37 Professional Detail Bag! This cavernous bag easily swallows every imaginable cleaner, wax, polisher or detail brush that you need for mobile detailing. The plethora of Velcro and mesh pockets keeps everything nice and tidy, and the convenient shoulder strap makes carrying the bag a breeze! The McKee's 37 Professional Detail Bag is constructed using super durable 600 denier nylon canvas that also happens to be water resistant! McKee's 37 Road Kill Bug Remover is a fast-acting cleaner that annihilates pesky bug guts before they cause damage to your vehicle's delicate finish. If you live in a region that's plagued by the infamous love bug, you’ll be able to remove them as well! McKee's 37 Road Kill Bug Remover also works great on tar, road grime and heavy road films. McKee's 37 Road Kill Bug Remover is a concentrated formula that can be diluted 1:1 with water. The McKee's 37 Road Kill Bug Scrubber is one of the best investments you can make in car care. You can safely remove stubborn bug guts, road grime, and tar without scratching your vehicle's delicate clear coat finish. The McKee's 37 Road Kill Bug Scrubber is 100% clear coat safe. Use it on paint, wheels, glass, chrome, plastic, and other hard surfaces that are in desperate need of a thorough cleaning. The Supreme Guzzler is 20% thicker than the original towel to give it an even greater capacity for moisture. At approximately 5.5 square feet, this waffle weave towel can dry most small cars without being rung out once! As you may well know, microfiber is made of two synthetic fibers: polyester and polyamide. Polyester accounts for the towel's durability and polishing properties while polyamide is silky soft. The plush 80/20 weave of the two fibers allow the towel to hold a tremendous amount of water; seven times its own weight! 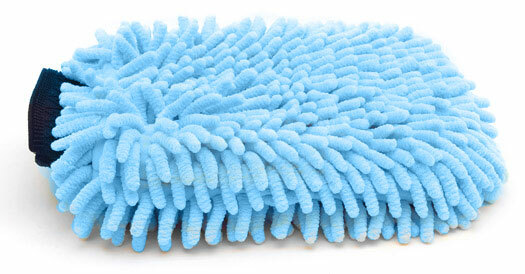 Our Micro-Chenille Wash Mitt has 40% larger microfiber fingers than our standard micro-chenille wash mitts! This wash mitt has all the paint-pampering features of the original mitt plus superior durability and a larger size. The Micro-Chenille Wash Mitt lathers your vehicle in suds for a safe, swirl-free wash! Total retail value of $130.94. You save $50.95!